"Making every woman and girl feel like she can conquer the world!" ﻿To guide, educate, support and bring awareness to girls and young women in the areas of personal and professional development. For every young woman and girl to have an opportunity to achieve her goals, reach her full potential, and contribute her success to other's around her. 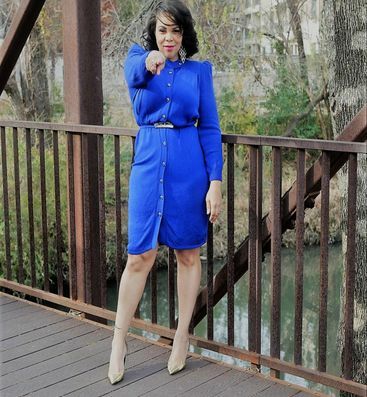 Due to the many adversities that young girls and women face, the founder of Desire to Empower, Eydie Robinson felt an extreme need to reach out and provide an avenue to girls and young women that focuses on positive aspects of life. Being a woman that faced adversity herself she knew the challenges of not only being a woman but also trying to move forward in life despite the many challenges she faced. Desire to Empower is designed to be a voice to young girls and women letting them know that despite their economic backgrounds, upbringing, past or current life situations they can be successful and achieve any goal they set their mind to. "YES YOU CAN achieve your goals, YES YOU CAN be successful and YES YOU CAN overcome any obstacle!"